Road America has experienced plenty of rainy weather today limiting practice time. The fastest teams in the ST class were putting in lap times in the 2:44 range. The fastest time of any JCW was a 2:46.496 put in by James Vance in the second practice session. Qualifying will take place at 11:45 AM tomorrow and hopefully the MINI JCW Team will come away with good starting positions. They’ll have more time to work on the car in the third practice session that takes place tomorrow morning. 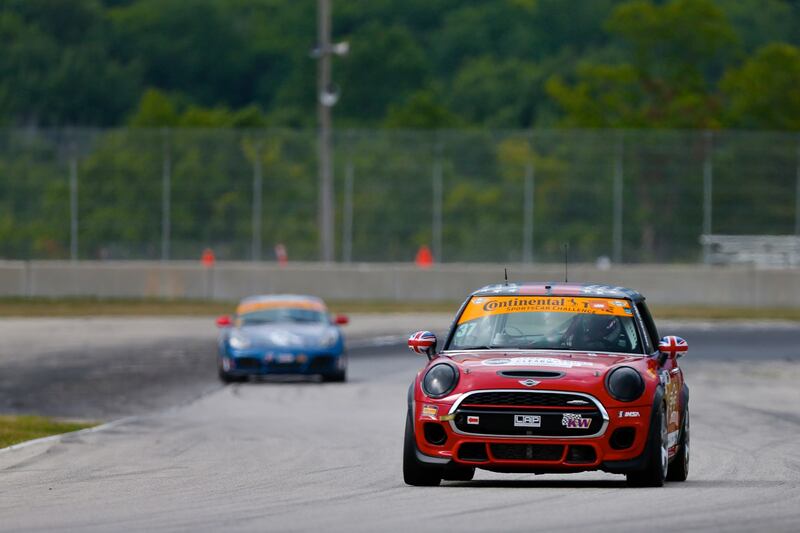 The MINI JCW Team will have to pick it up a bit if they want to contend for the win in tomorrow’s race. Full field practice results can be found at the links below.